DO YOU NEED A RELIABLE TOWING SERVICE? If you’re driving in the suburb of Innaloo and your car suddenly breaks down, you are going to need a tow truck right away. Executive Towing Services offers a wide range of car recovery and towing services throughout the area of Innaloo. Whether you have suffered a car accident or a sudden breakdown, we can have an experienced tow truck operator out to your location in a jiffy. All our tow truck operators have advanced training and experience in vehicle recovery and transportation. We are confident that you will find out customer service to be superb. We service all types of clients in Innaloo, including residential and commercial. Our prices are kept low in order to be competitive. This makes us affordable for both private citizens and business owners alike. If you have any questions or would like to request a tow, conveniently contact us at 0410 471 056 and a customer service representative will assist you. Any private individual in Innaloo who requests a towing service will receive fast assistance. Executive Towing Services prides itself in helping local citizens who are stranded so that they can get back on the road again. We have a great reputation for our response time after service requests are made. With a large fleet of tow truck operators throughout the suburb, we always have an experienced tow truck operator ready to serve you. In addition, Executive Towing Services offers specialized transportation services for relocating high-end vehicles, such as luxury or sports vehicles. We can move any custom vehicle and transport it to your destination of choice. When it gets there, the vehicle will be in the same condition as it was before. There will be no damage or marks of any kind on it. This even applies to vehicles which have lowered suspensions. We are always safe and careful when transporting our clients’ vehicles. Innaloo has a lot of retail stores and restaurants in it. Some of these businesses even have delivery services or company vehicles. If you own a vehicle that is being used in Innaloo and it breaks down, you don’t need to look any further for a qualified towing service to help you. Executive Towing Service has tilt tray tow trucks which are designed to tow bigger vehicles and machines, such as trucks, scissor lifts, bobcats, and forklifts. If you need a commercial or industrial vehicle towed, give us a call so that we can discuss your needs. Executive Towing Services only employs tow truck operators who have all their proper insurance coverages, licences, and education credentials in order. We strive for customer satisfaction and guarantee that our tow truck operators will provide a fast and professional vehicle recovery and transportation service. To get started, give us a call at 0410 471 056 and we will go over the pricing and answer any questions that you may have. Innaloo is a suburb of Perth, Western Australia and is 9 km from CBD. The local government area is the City of Stirling. 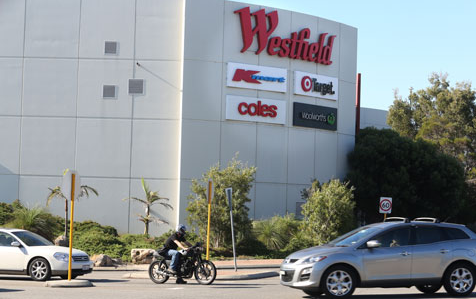 Innaloo is a established residential suburb that is also home to Westfield Innaloo a very large shopping centre or Megacentre, and is also adjacent to Perth’s largest cinema complex, the 18-cinema Event Cinemas Innaloo. It is also the only suburb in Perth where you will find Ikea.